Natasha Denona is launching multiple products in one day (ahhhhh!) 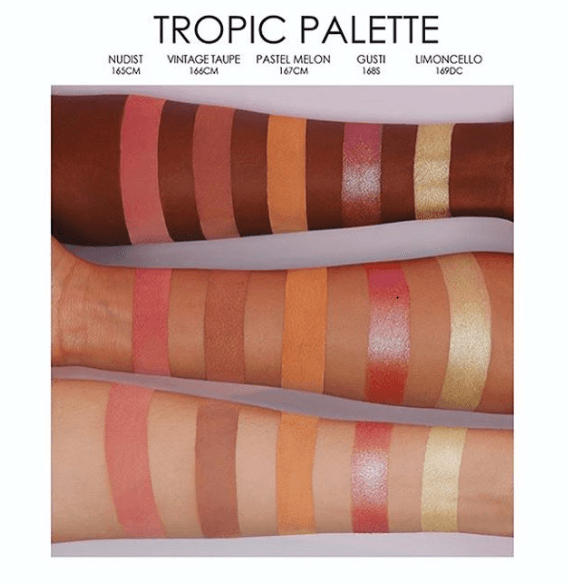 one of which being the Tropic Eyeshadow Palette on Thursday, 3.08! This beauty of a palette includes 15 eyeshadow shades with a mix of matte, shimmery, & foil finishes. The palette is LIMITED EDITION and will be available at Sephora, Beautylish, and ND’s own site! Now I’m sure most of you are looking at this going… soooo its a ND palette, let’s hear the price tag! Well you may want to take a seat for this one… $129! Wowza! But it should be no surprise to anyone who is familiar with Natasha Denona; this is pretty standard pricing for her. 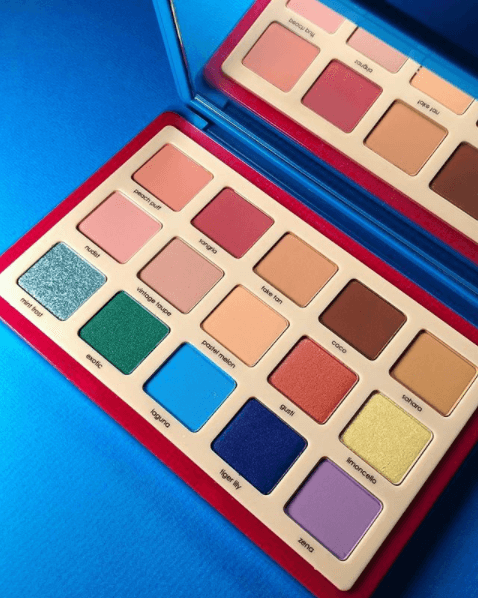 We have some seriously mixed feelings on this palette! We are totally loving the packaging, the giant mirror and the colors in the bottom row! Mint Front and Zena are soooo stunning! 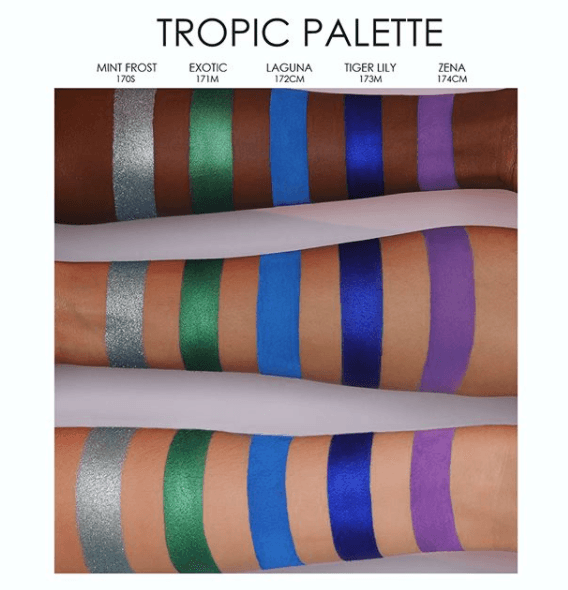 And we like the idea of throwing some pops of color in with a mostly natural palette – although we have seen this concept before, for sure, in things like the Masquerade Palette by Juvia’s Place for example. That is one of our favorite palettes of EVER so you know we dig it! But we are kind of not digging how similar alot of the shades in the top half of the palette seem. 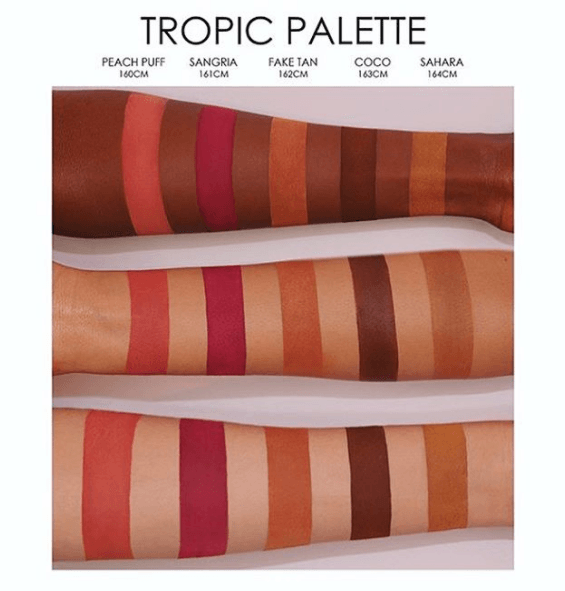 Besides Coco, Gusti and Sangria, the top two rows seem to be a lot of shades that blended out on the eyes would look just about the same. Why?! Why, for $129, couldn’t we get some variety?! Some contrast?! I cannot imagine paying this much per shadow (almost $9) to have them be so similar in shade and tone. As beautiful as it is, we just can’t get behind a price tag like that with a shade selection like this.